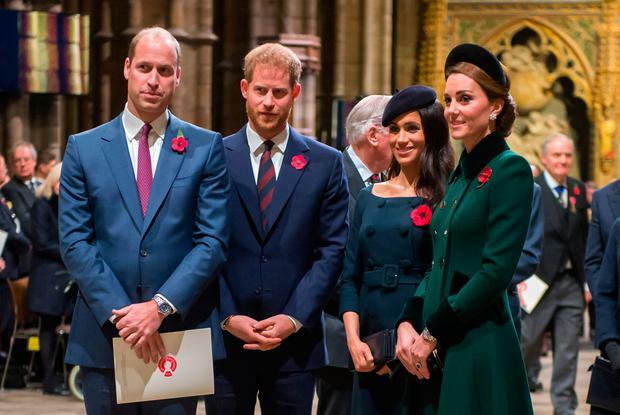 While the most senior members of the British royal family stood for a moment of silence on Sunday, there was someone notably missing - Meghan Markle. 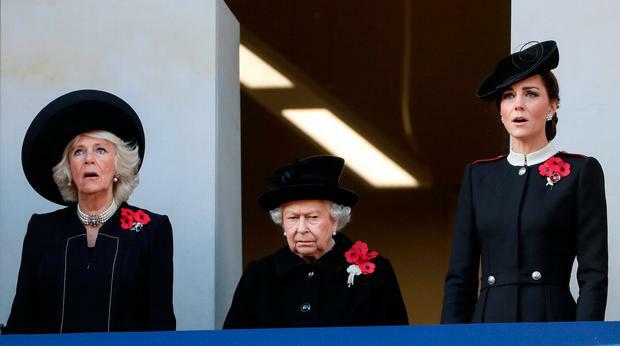 While Queen Elizabeth was flanked by Camilla, Duchess of Cornwall, and Kate Middleton, Duchess of Cambridge, the other high profile Duchess of Sussex was adjacent to them on a different balcony, joined by German First Lady Elke Budenbender - this, a few hours after being placed several rows behind the same group at another Armistice Day event, was the cause of much speculation about Meghan's place in the family. 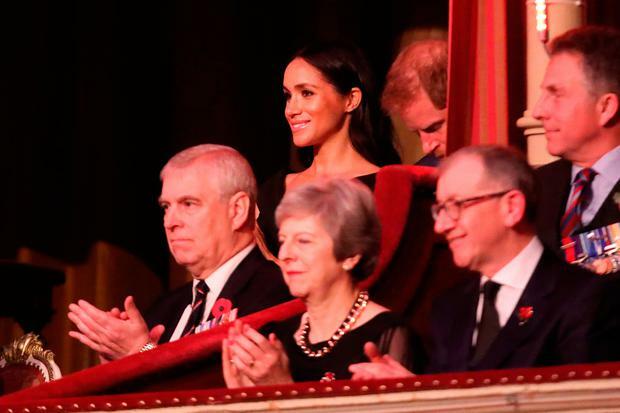 It hasn't helped that excerpts of a new book by Robert Jobson paints a less than pretty picture of the couple behind the scenes and alleged tantrums thrown by the bride-to-be, which prompted Harry to utter the phrase, "What Meghan wants, Meghan gets." 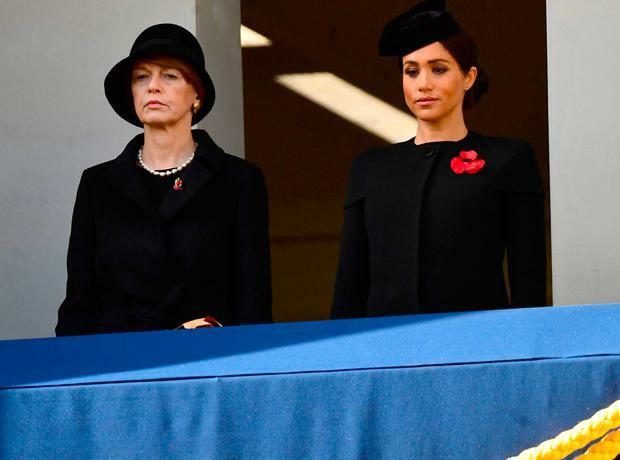 It was also reported at the weekend that three senior staff members have left after just a few months in their respective roles after the May wedding. Kensington Palace would not comment on the departure of staff, or the allegations made in the new book, but royal experts state that her positioning at public events has little to do her personal standing and all to do with royal hierarchy. As monarch, the queen takes centre stage, while next in line Prince Charles follows, alongside British Prime Minister Theresa May and then by Prince William, whose role is changing as the family prepares for Charles to take a more centralised role over the coming years. Joe Little, managing editor of Majesty magazine, told PEOPLE that "there's a pecking order" with royal functions . "She was not as prominent perhaps as some people might have expected, but there’s a pecking order," he said. "There was no slight intended, but William being the older, more senior brother would go out first with his wife. Meghan was still in a good position. She was central rather than the alternative of being in the front row and along the balcony to the left or right." Last week, a story was published which details a reported heated exchange between Meghan and her grandmother-in-law over her choice of wedding tiara. There have been a number of changes behind palace doors in recent months and Harry and Meghan are said to be planning on separating their court from Kate and William, especially as they are about to welcome their first child next year. As of now, all four are represented by Kensington Palace, but it's expected that Meghan and Harry will create a new court next year to focus on their specific agendas and responsibilities, as reported by the Sunday Times. Royal expert Sally Bedell Smith said that Harry's recent wedding "changed the dynamic" as he begins to forge his own path separate to that of his brother, who is second in line to the British throne and therefore has a clearer path of what's expected in comparison to his younger brother. “The arrival of Meghan has changed the dynamic of the relationship in a fairly significant way,” Ms Smith told People.. “It is inevitable and practical because it gives Harry and Meghan some freedom to build up their own collection of interests and charities. Last month, after the article was first published, Smith told Vanity Fair that the brothers' closeness was always as an "anomaly", especially compared to Prince Charles and his siblings.